So, this is the first time ever posting for a YA Highway prompt. The question is: What images inspire/ represent you WIP (work-in-progress) or favorite book? My novel takes place somewhere nothing at all like the image I am about to post. My main character, we’ll call her OP, pines for a place not unlike this one here, but it no longer exists. Since I have been writing in first-person, I find myself longing to be here too. This image represents so much to her. She places herself there in her dreams, longs for her mother who is no longer alive, but lived there. 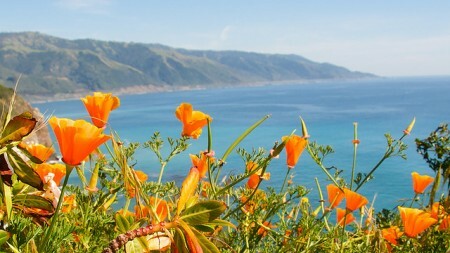 When I want to remember how she feels, I look at pictures of the coast in California, and then her aching becomes even more real to me. 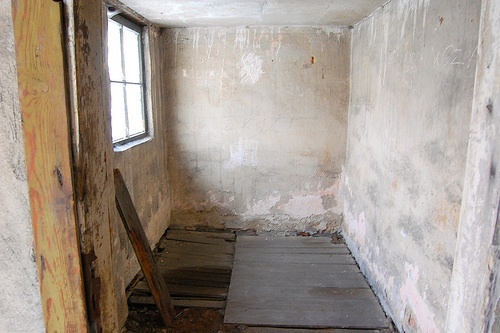 This is a women’s changing room in Birkenau Concentration Camp in Poland. OP spent time in a place not unlike this for a period before the novel begins. This place is a huge part of her back story, and the story of the world she lives in. It’s amazing to try and imagine how someone would feel somewhere like this for weeks of their life, not really knowing if their life would continue.